Under the direction of the Forensic Genetics Director, the DNA Analyst III will perform scientific examination and analysis of biological evidence collected in connection with death and criminal investigations. Conducts scientific laboratory examinations and analyses of specimens submitted by forensic pathologists and law enforcement officers from medico-legal and criminal cases. Testing may include screening for the presence of biological fluids and DNA analysis using Polymerase Chain Reaction/Short Tandem Restraints (PCR/STR) based methods. Analyst may be required to testify regarding analysis in a court of law as an expert witness. Prepares written reports that support the analytical findings and provide testimony as an expert witness in legal proceedings. Maintains at least a minimum level of productivity as determined by Forensic Genetics Laboratory Director. Participates in training, competency testing, and proficiency testing according to established protocols. Successfully complete proficiency testing requirements. Operates and maintains laboratory instruments. Follows all established protocols and procedures and may be assigned other tasks as deemed necessary by the Forensic Genetics Director. Trains new lab employees as delegated by the Forensic Genetics Director. Participates in peer review of cases. Assists in ensuring the laboratory remains in compliance with the ANAB accreditation standards and the FBI Quality Assurance Standards for Forensic DNA Testing Laboratories. Maintains American Board of Criminalistics certification and meet ANAB standards and the FBI Quality Assurance Standards by attending continuing education/training courses, workshops, seminars, conferences, and professional meetings. Follows rigorously all Safety, Method Manual, and Quality Assurance / Quality Control protocols. Trace Evidence DNA Collection Team duties as applicable. Other duties as assigned by the Forensic Genetics Director or the Crime Laboratory Director. One (1) year of experience working in a laboratory using recent technology including the use of a variety of microscopes. Master's of Science degree in Biology, Chemistry, Forensic Science or related field of physical science with college coursework or training in the subject areas of statistics and/or population genetics will substitute for the required one year of laboratory experience. Visual acuity sufficient to perceive minute differences and detail and to withstand the strain of continued close work. Must have a manual dexterity to perform assigned laboratory tasks as determined by the Forensic Genetics Laboratory Director. Must successfully pass a test for colorblindness. Will also provide a DNA sample which is maintained by the Forensic Genetic Laboratory for quality assurance purposes. Possess and maintain a valid driver's license and ability to safely operate a motor vehicle. 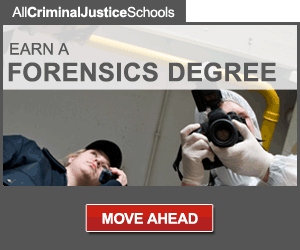 American Board of Criminalistics certification is required within two (2) years of hire date. Upon employment, the employee shall take and pass the licensure examination provided by the Texas Forensic Science Commission. Refer to Texas Administrative Code, Title 37, Part 15, Chapter 651, Subchapter C, Rule §651.207 (https://bit.ly/2OQ83O4) for additional licensure requirements. Ability to lift a minimum of 45lbs. Ability to sit and stand for long periods of time. Works with laboratory chemicals and various biological fluids with possible exposure to blood borne pathogens. Master of Science degree in Biology, Chemistry, Forensic Science or a related field of physical science with successful completion of nine semester hours (or equivalent) coursework in Biochemistry, Genetics, and Molecular Biology. One (1) year of laboratory experience conducting DNA tests in a forensic DNA laboratory. College coursework or training in the subject areas of statistics and/or population genetics. Experience with evidence screening, DNA extraction, quantification, PCR amplification of STR fragments, and capillary electrophoresis using ABI Genetic Analyzers (310, 3100, 3130 or 3500). Computer literacy in the use of Microsoft Office applications (Word, Excel, Access and Power Point) and familiarity with database applications such as: Justice Trax, LIMS (Laboratory Information Management System) and CODIS (Combine DNA Index System). Knowledge of forensic DNA principles, laboratory techniques, and technology. Knowledge of the Polymerase Chain Reaction (PCR), Short Tandem Repeat (STR) analysis, and capillary electrophoresis methods. Knowledge of biological evidence collection and preservation techniques, rules of evidence, forensic serology, basic human anatomy and physiology, and basic laboratory safety. 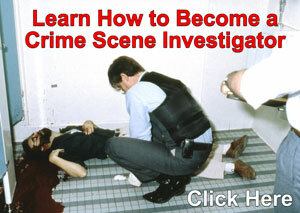 Membership in one or more professional forensic organizations. Certification in a related area from the American Board of Criminalistics (ABC).